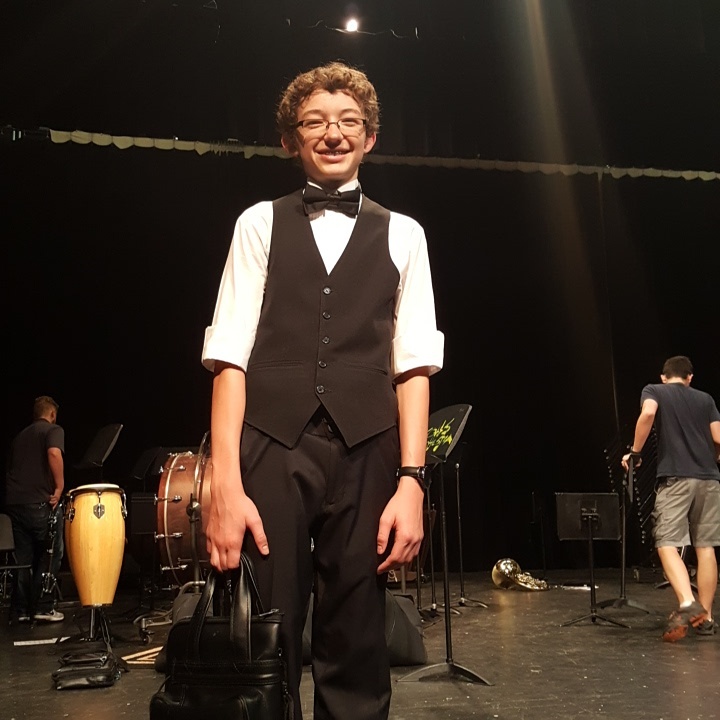 Our 8th-grader, Cody, played his final Honor Band conert Wednesday night. It is hard to express how proud we are of this fine young man. When we moved to Texas and he was starting 7th grade, he already played piano and guitar, and he wanted to join band. They don't have piano or guitar in grade school bands here. So he started in beginner percussion. Because he could already read music, he advanced pretty quickly in percussion. By the start of 8th grade, he was promoted to Honor Band. And now look at him! It is no wonder we are so proud. Here are the videos of the Honor Band performance. Worth noting: the Band Director at Hildebrandt School (in Klein ISD) is Mr. Yarbrough, and is quite renowned. He's moving on to another school after this school year, so this was his final Honor Band concert too. We consider ourselves VERY fortunate that both our kids got to spend some time in Myr. Yarbrough's band. Finally, the whole band played an extra song, one of Mr. Yarbrough's favorites, to send him on his way to the new school. They were joined by one of Mr. Yarbrough's daughters, who is in the local high-school band.